100% Faux Leather - Vegan Friendly PVC Sizes: S/M - APPROX. 41" END-TO-END M/L - APPROX. 44" END-TO-END L/XL - APPROX. 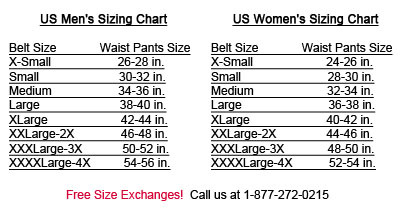 48" END-TO-END Please Note: the size description in this chart indicates total length of the belt, therefore it would be more comfortable to choose a size about 5" or so bigger than the measurement of your waist or where you wear this belt.